Plyboard stocks a range of Decoline coloured HMR particle board as shown below. These coloured boards are either an exact match, or a close comparison to coloured boards made by other manufacturers but can provide you with a cost effective solution. 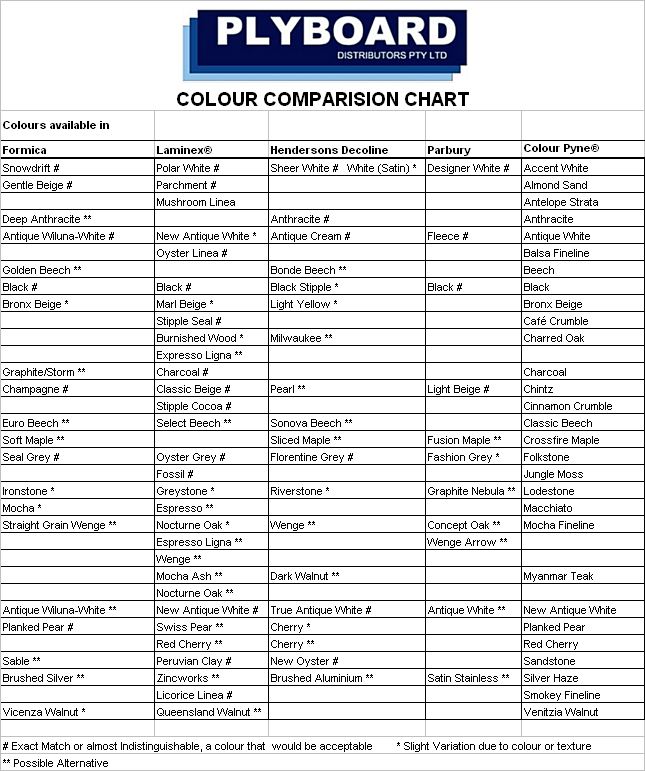 Hence our colour comparison chart.